The disclosure that an unnamed Russian has recently paid £140 million for Park Place, a 300-year-old country house set in 200 acres of land in Oxfordshire, has focused attention on the huge amounts of money being paid for property in the UK. Global Energy has established an independent international award for spectacular scientific achievements in energy and power advancement. The Global Energy Prize was established in 2002. The idea for founding the award was put forward by a group of famous Russian scientists, supported by some of the largest energy companies and approved by the President of Russia. Currently, the Global Energy Prize Fund amounts to 30 million roubles.Igor Lobovsky, the President of the Partnership, elaborated for RussianMind on the 2011 laureates andthe global energy trends. There are few people that work on the edge of theory and practice, but Ivan Zasursky is definitely one of them. Being a recognized journalist, researcher and theorist of the media, he has headlined critical online projects in Russia; created a department devoted to new media in the Moscow State University; written several books covering the interconnectedness of politics and mass-media in Russia and worked in politics. Recently he has taken on a new challenge and created the first online magazine in Russia sharing Creative Commons license. How Alexander Lebedev made his fortune? Leaving everything to start a new life seems to be a common challenge but there are just a few people who really face up to it and overcome such a challenge. 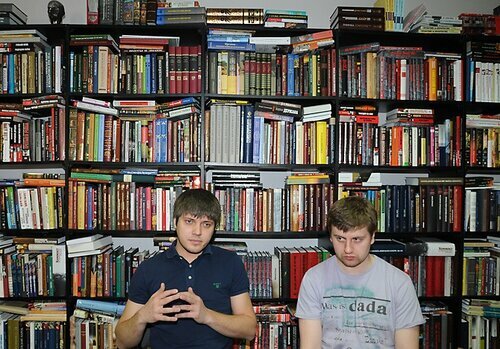 One of them is Denis Korneevsky, a young Russian journalist who left his upcoming career in political journalism and moved from Moscow back to his native city of Perm to start his business with the main passion of his life – books. Igor Grigoriev is a true legend of modern times. He emerged from a Russian village and during the controversial 1990s, brought up a forward thinking new generation with his cult magazine “OM”. When the magazine was riding its wave of success, he left the chief-editor’s position and is now a rock hero, having vanished for 10 years to live the life of a spiritual man. Today Igor Grigoriev is back in Russia, but this time as a singer. In his songs he combines pop hits and decadent Russian poetry of the 1920s. Ambiguous as ever, he is definitely back to make his mark again. What did you feel on your come back to Russia? This interview did not require much effort to demonstrate the popular appeal of Andrey Kovalev. The setting spoke for itself: as we were talking in a London cafÃ©, a woman approached Andrey for an autograph, and her friends were also expressing their heartfelt thanks to the Andrey for the music he plays with his rock band called the Piligrim. RM: First of all, let me congratulate you on the Piligrim’s fifth anniversary that you celebrated in December 2010. How did you spend it? AK: We had a big concert dedicated to the anniversary; it was staged by Lina Arifullina. That seemed the best way to celebrate it! RM: Five years is usually considered an important milestone for any enterprise. Did it encourage you to sum up your achievements? Vyacheslav Zaitsev is a Russian couturier, painter, graphic artist and theatrical costume designer. He doesn’t like it when people call him Vyacheslav, so he is more commonly known by the short form of his name – Slava. It seems that having a career of a fashion designer was his destiny from early childhood, as he was born in the Russian city Ivanovo which is famous for its textile industry and also known as the “town of brides”. Slava Zaitsev has a typical Russian mentality – of kindness to sentimentality, from explosiveness to brutality. Zakhar Prilepin is a writer, publicist, political activist. Having completed his philology studies, he worked initially as a packer, a security guard and a journalist before joining a special military unit that took part in anti-terror deployments in Chechnya. In 2008 he won the Russian National Bestseller Award for his book "Sin". He is a laureate of numerous prizes and awards, and his books are required reading in 5 Russian universities. Prilepin could be a novel character himself. Grigori Perelman, the world-famous unsociable genius, has managed to produce two global sensations in a row. First, when he solved one of the biggest mysteries of mathematics known as the PoincarÃ© conjecture. Second, when he rejected a 1 million dollar reward from the Clay Mathematics Institute. Now the mathematician hits the headlines once again – he allegedly granted an interview to the “President-Film” producer A. Zabrovsky.